Dearborn Heights is a progressive City committed to enhancing the lives of all who live and work here. The city’s central location in Wayne County affords easy access to numerous recreational, cultural and travel opportunities in the Greater Detroit area. 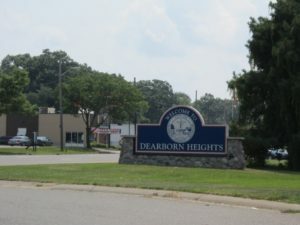 Dearborn Heights provides an ever-increasing number of services in the city with excellent schools and nearby colleges and universities, state-of- the art healthcare facilities, many houses of worship and civic organizations, close-knit neighborhoods, low crime rate, affordable housing, and a wide selection of shopping areas – all the advantages of living in a small City, with a diverse population and a strong economic foundation.